DRY PROTECT™. The Natural Choice for All Day Comfort. It’s the fabric your customers have been waiting for. 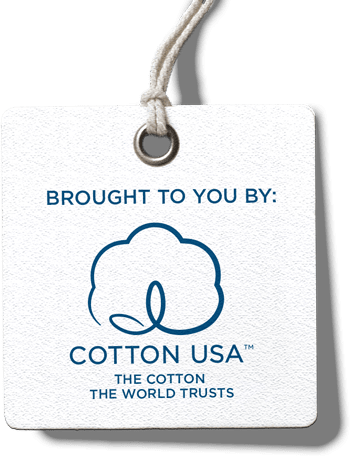 COTTON USA™ has partnered with Proneem to create clothes that eliminate unpleasant body odors and absorb moisture, for comfort all day long. FINALLY. LONG-LASTING FRESHNESS, EVEN WHEN YOU SWEAT. Proneem’s revolutionary DRY PROTECT™ technology repels the unpleasant side effects of perspiration, giving consumers more comfort and confidence. Cotton-rich clothes made with this new technology leave them fresh feeling all day long by eliminating unpleasant odors and absorbing moisture. Talc and Alumstone are 100% natural minerals that are added to Proneem’s DRY PROTECT formula to provide natural comfort. Alumstone helps to stop the growth of odor causing bacteria and fights against perspiration, while Talc absorbs the body’s moisture. When combined with cotton-based fibers, DRY PROTECT™ works actively upon contact with skin, ensuring hygiene and comfort, the natural way. PRONEEM is a biotechnology company that combines natural treatments with leading-edge technologies. 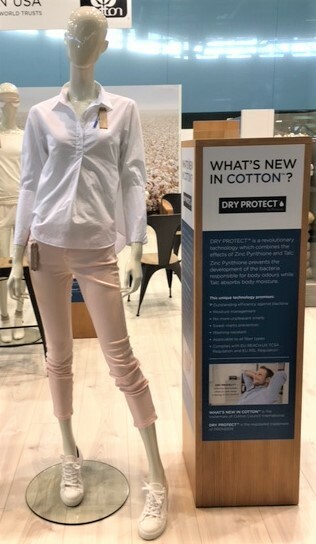 DRY PROTECT™ is a revolutionary technology that offers dry-comfort apparel products by combining the effects of Zinc Pyritione and Talc to prevent odor and absorb moisture.